Special paper for AgIC Circuit Marker, which is a conductive marker with which you can draw electronic circuits. 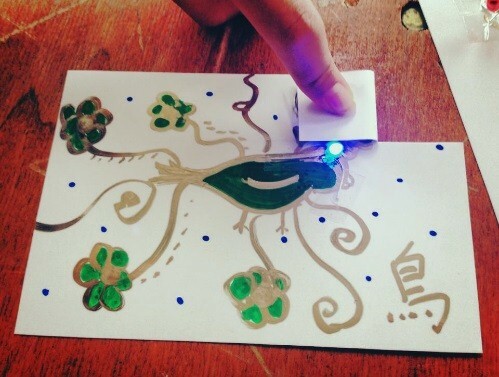 Draw your design of circuits on the paper with conductive ink pen, and run LEDs and motors. Imagine and realize you imagination by embedding your paper circuits. Smooth and fast prototyping tool for electric circuits. AgIC Circuit Marker, LEDs or batteries are NOT included.